In Coca-Cola > Show & Tell and Advertising > Crate Labels > Show & Tell. 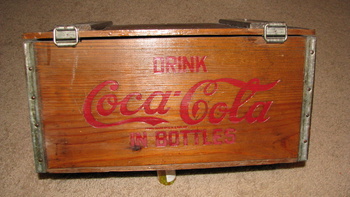 Here is a Vintage Coca-Cola Wood Crate that was used for delivery. The crate has the Coca-Cola logo on two sides and a wood cover. Displays well and in very good condition for it's age. Looks pretty early to me. They made some reproductions around the early 60's. 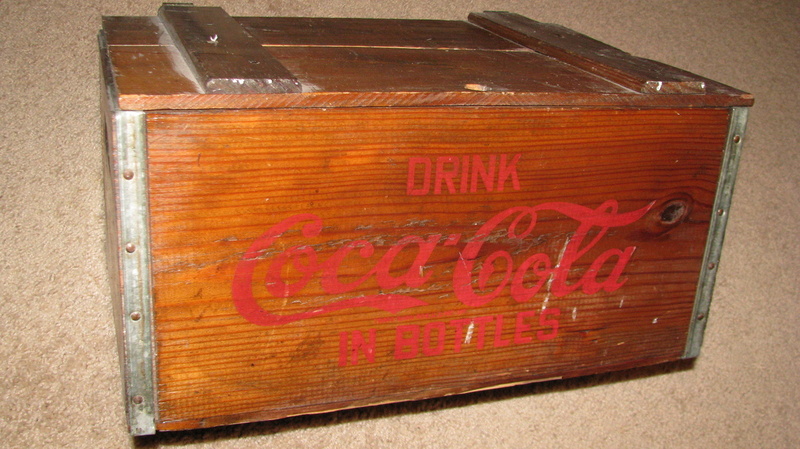 I have one but not in that good of condition. 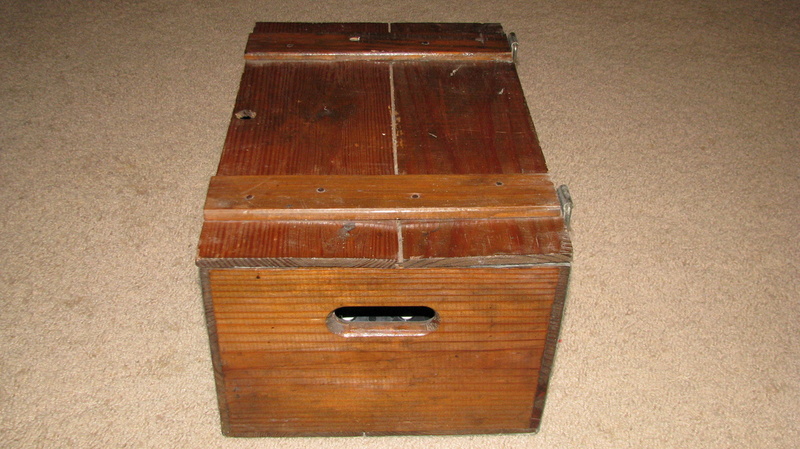 I don't think it is a Repro., but I'm not an expert on this type item. I hope it's the real thing. I hope you are right as it will be worth a lot. Mine has been drug around a lot of countries & shows it. 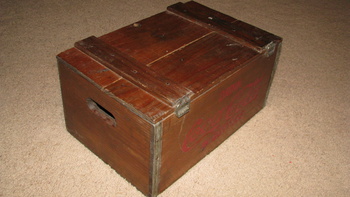 Looking on ebay, the 60's versions only sell for about $20-30 & it would cost me that much to send to the states. I got mine from the distributor (a friend) when they came out. As far as I know the repro is made exactly like the orig.. Bon chance. I think it's a repop, but it looks nice so I hit it. 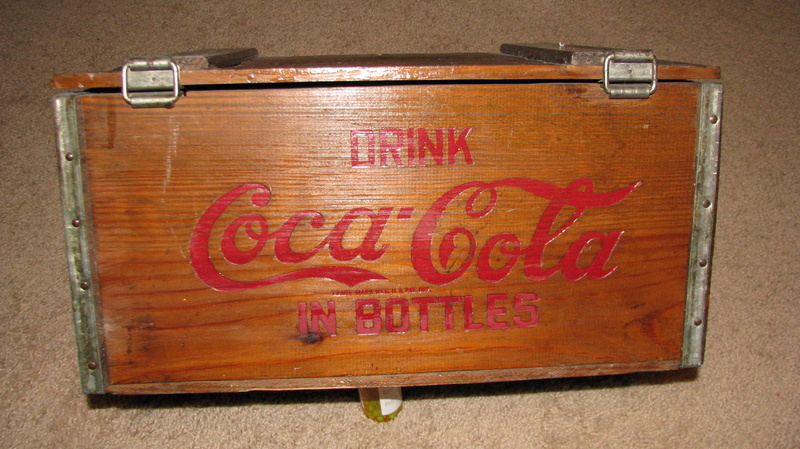 Signaholic, if you saw mine, you would easily believe it was made in the mid-1800's before Coke even came out! It has held up well! I wouldn't sell mine for prices I see. It is worth more to me as having been part of my history(or snail-track) around countries. They are extremely well made & mine is as solid as the day I got it.